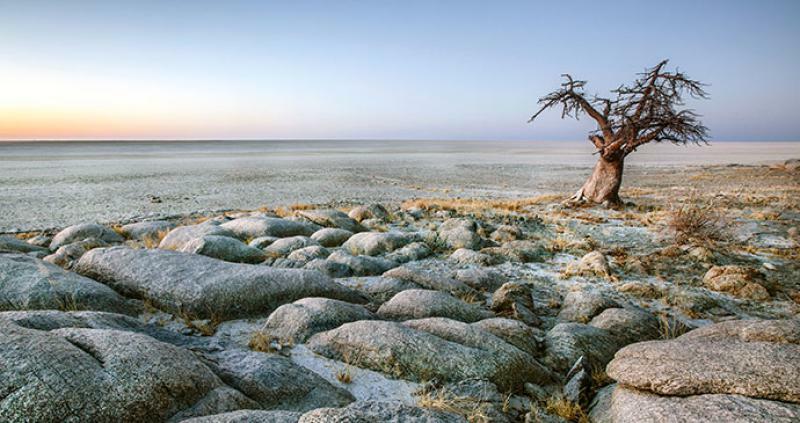 Semi-arid areas in Botswana are characterised by high rainfall variability, frequent droughts, low soil moisture and extreme events such as flash floods which normally combine with governance shortcomings and structural inequalities to exacerbate the vulnerability of communities. Such communities are generally dependent on primary production and natural resources , rely on rainfed agriculture, have limited livelihood options and employment opportunities , depend on activities that are sensitive to the impacts of climate change1 , face high levels of poverty, are exposed to high levels of HIV/AIDS, have limited infrastructure and services, and are affected by limited institutional capacity and weak resource governance. The climatic and socio-economic environment in semi-arid areas in Botswana makes communities vulnerable to food insecurity and unstable livelihoods as well as leading to unsustainable agroecological systems, crop failure and unproductive rangelands.